Making the home a cheaper place to live is the kind of thing that pretty much everyone can get behind. But no matter who you are, you will agree that it can be surprisingly difficult to achieve this, even if you are relatively savvy about what is going on. As it happens, there are a lot of ways to cut your home costs, but to do it you first need to be clear on what your major home expenses are likely to be. While these do vary somewhat from home to home, generally it is likely that there will be a few which are commonly shared with pretty much all homes. Let’s take a look at those areas, then, and how we can reduce their cost on the family home. We all know that heating is a huge and central expense for most people. But what can you really do to reduce the cost - short of allowing your family to freeze? 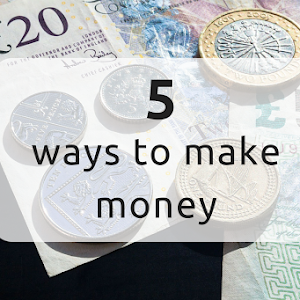 As it happens, there are probably a number of things you can try out, and it’s definitely worth doing so if you want to save some money in the home as quickly as possible. Heating bills can be reduced easily by changing to a better tariff, first of all. It can be all too easy to find yourself on a less than ideal tariff. When this happens, you are probably paying more than necessary for something which you can get much cheaper. Check around with your current provider first, but also look at what other companies provide to your area. Look for the cheapest tariff possible and switch to it, and this alone will make a huge difference to your bill. Similarly, be careful about using your heating, and only use it when necessary. There is no doubt that your family needs water - how are you supposed to save any decent amount of money there? As it happens, there are ways to receive water into their home which do not need to go through the traditional routes. A good example is by having a professional company install water boreholes. These are a way of getting water from the ground so that you can have your own private water supply. That means you don’t need to pay anything to anyone for your water supply, and you will certainly save a lot of money that way as a result. Find out more about water boreholes and see if it is suitable for your home. We all need to eat, and food is likely to be one of the biggest expenses in your home -so how can you be sure to cut the costs of it? One of the easiest ways to do that is simply to plan all of your meals well in advance. That way, when you go shopping you know exactly what you need, and will be less likely to buy too much. You should also try to keep a lid on any impulse buying which you might find yourself doing. This will make a huge difference to how much you spend each month.